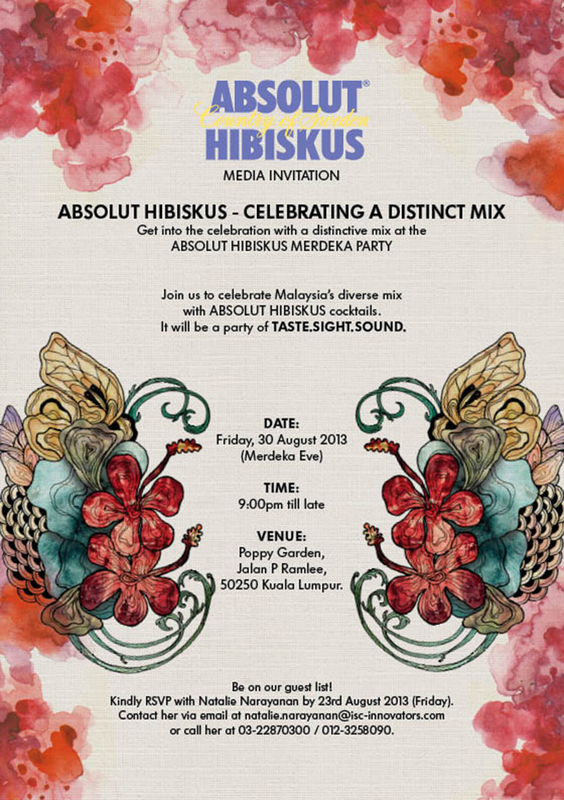 I was one of the four chosen featured artists for the unveiling of the new Absolut Hibiskus (with a hint of pomegranate) flavor in Malaysia. This is a collaboration on my part as a 3editions artist. 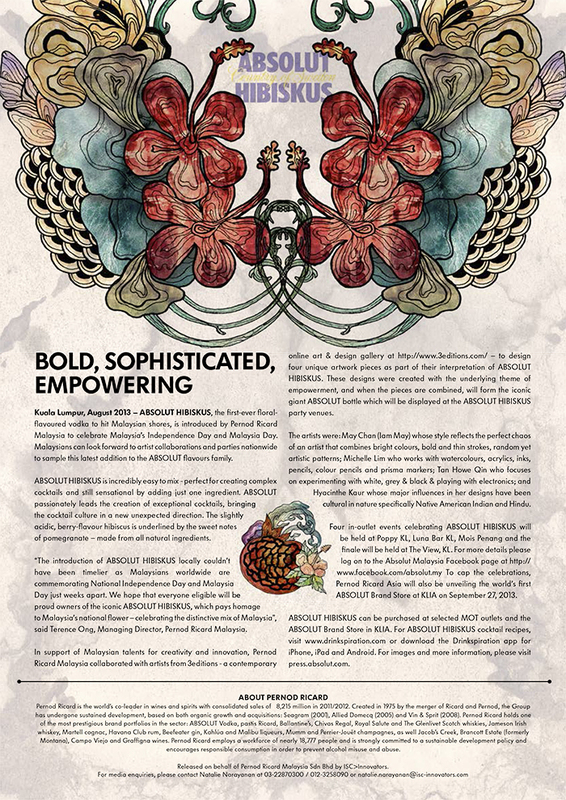 Apart from painting on a 6ft tall fiberglass Absolut bottle, I was also given the chance to create an artwork based on the hibiscus, in my own style, to be used as elements in the media press release and invitations for the event – designed by me, and printed on canvas. 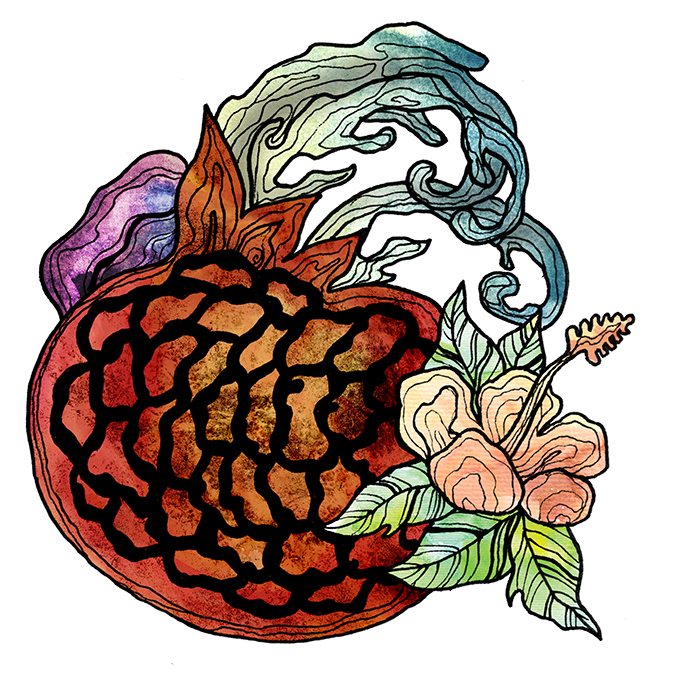 The concept I went for was ‘nature in a bottle’ – hence my very organic and flowy design for both the hibiscus and the pomegranate. The work I have done includes the copy and design for the event launch as well, that were printed on canvas for VIP guests to keep. I also custom painted three 700ml bottles after the event to be auctioned off to art buyers who were interested in the 6ft tall version.